I may have mentioned, just once or twice that I’m a Finalist in the MAD Blog awards later this week, and I’ll be attending a lovely swanky ceremony in London and having a right fabulous time into the bargain. To say I’m a little excited is understating it somewhat, but I am rather looking forward to it. I’m nominated in the Best Home Category, and to be honest I’m up against stiff competition (more about that tomorrow). The category, this year is sponsored by Vertbaudet, the gorgeous French children’s Fashion and Home store, who are very generously offering a £250 prize for the winner to spend with them. I’ll be perfectly honest and say I’ve not shopped at Vertbaudet before, but I know many who have and I’ve admired their children’s clothes from afar for a long time. 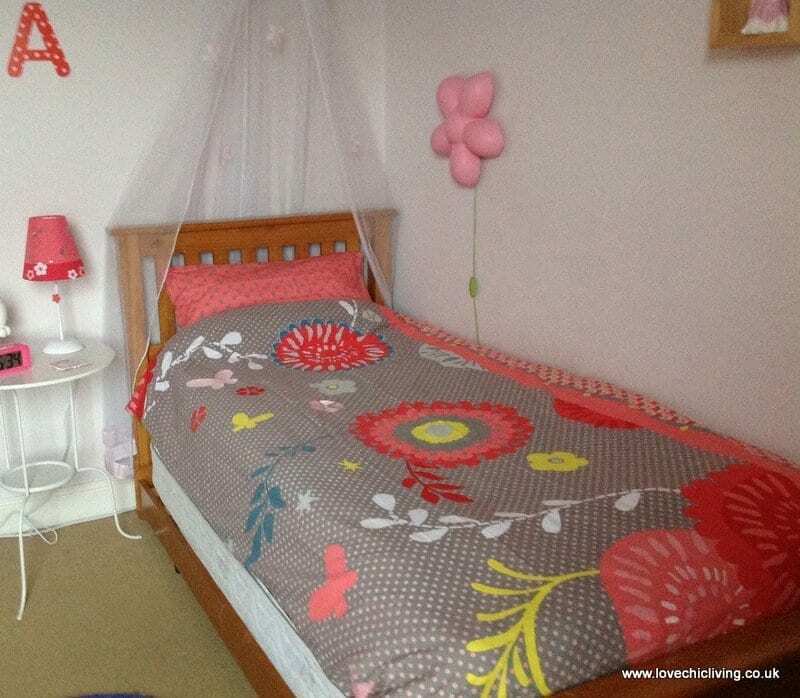 But did you know they have quite an extensive range of home products for children’s bedrooms? Vertbaudet have asked me to look at some of their products and let you know what I think. Well I have a bit of thing for bedding. I think it really makes a room and sets the tone and feel. I’ll often look for bedding that I love and think how I could create a room scheme from that as the starting point. So check out these beautiful prints and designs from Verbaudet for children’s beds. This first we chose for Miss E’s room (she has very strong ideas on what she likes and what will ‘go’ with her room!). This one’s called ‘Oriental Poetry’ and we chose it because it was less pink and much more red and blue; colours that we’ve already used for Miss E’s room. And because she’s 8 now she doesn’t want cute and cuddly designs, but is quite interested in much more grown up patterns. When it came we loved it, and love it more now it’s on the bed. The quality is fabulous, the design is so different (even Mr Demolition commented on how different it was to designs from other High Street stores) and it looks lovely in the room. It sells for £29 plus a pillowcase for £9, so it’s not the cheapest you could go for, but it is well worth the money and I’m sure will last for years. 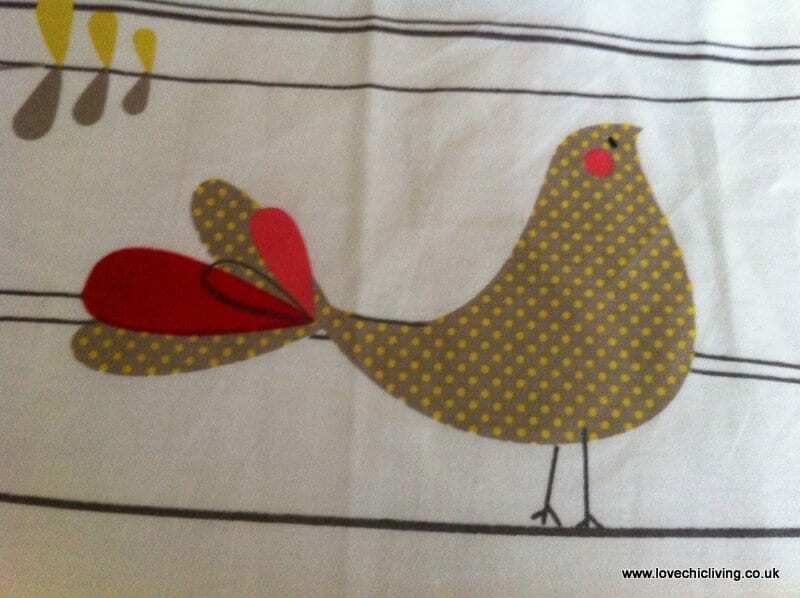 There is a large selection of pillowcases to choose from, some of them for square cushions/pillows and so you can create your own finished look by adding more if you want to. Notice the lamp on the bedside table? Again from Vertbaudet, this Red Bedside lamp – £45 is top quality and beautiful when on in the evening. Miss E thinks it’s so grown up and sits with it on whilst reading at bedtime. We love the pretty flower patterns it casts around the room when lit and it matches very well with the bedding, really finishing off the look well. 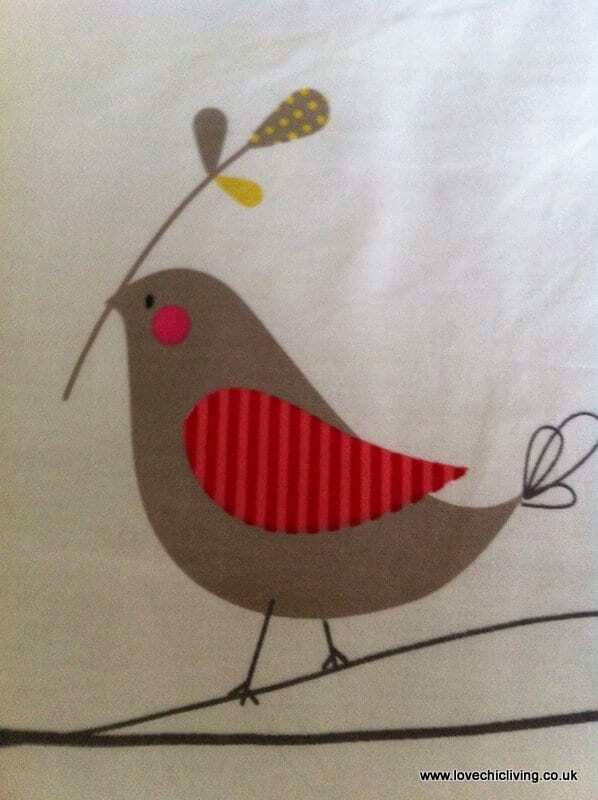 We’ve also tried out another bedding set for Miss R’s room – Birdhouse from the new Autumn/Winter collection which again, is great quality and lovely design. We fell in love with the birds (she is a bit of a bird watcher at 5 years old) and think the colours are subtle yet stylish. And to finish off we also took a look at some storage. Vertbaudet does a fantastic range of storage for both babies and children’s bedrooms at all kinds of prices. From fun Washing machined styled linen baskets, to wooden nappy boxes, to a colourful array of fabric storage bags and boxes. We chose this gorgeous set of 3 wooden storage boxes for £19. The arrived flat packed and were put together by me and little Miss E in less than 20 minutes. Another 20 minutes and one was labelled and all were filled! 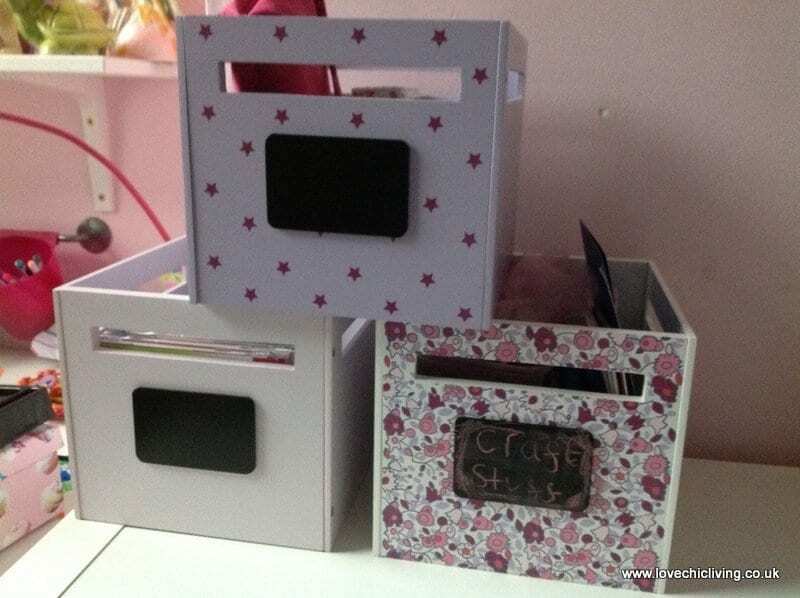 As you can see from the photo, each box comes with its own chalkboard panel for labelling and personalising. We’ve seperated the set and split between the girls’ bedrooms and they still look good. Very impressed with these; pretty, different and extremely sturdy and solid. And a very good price. Overall I have to say I’m won over. I’d never tried their products before, opting for cheaper brands in the past but I would wholeheartedly recommend them to you. If you’re looking for something a little different for Children’s bedroom style then do give Vertbaudet a go. Look out for my follow up post on Vertbaudet Children’s Fashion coming very soon! Disclosure: The products were sent to me to review free of charge. The opinions expressed are genuine and my own. Next Post MAD Blog Awards – Best Home Blogs and Outfits! 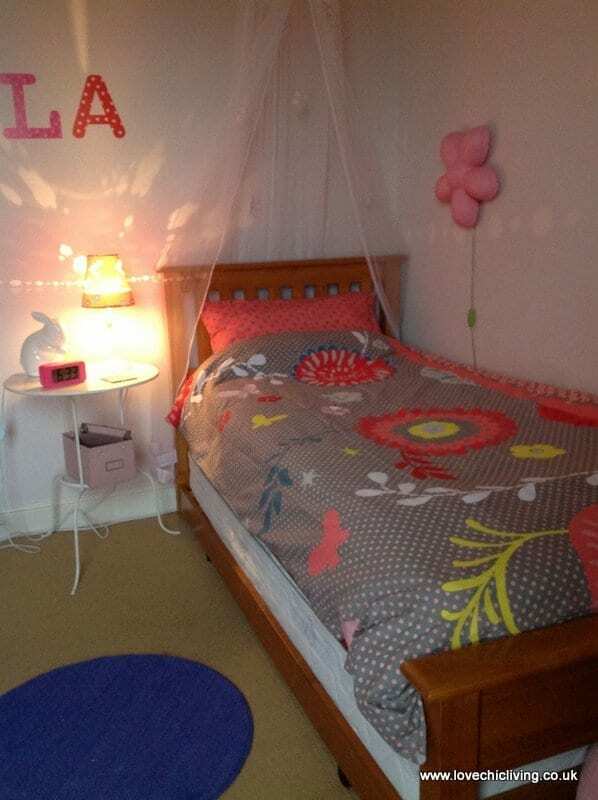 Never seen such gorgeous kids bedrooms so stylish like their mum! Long been a huge vertbaudet fan good luck Jen hope you win!